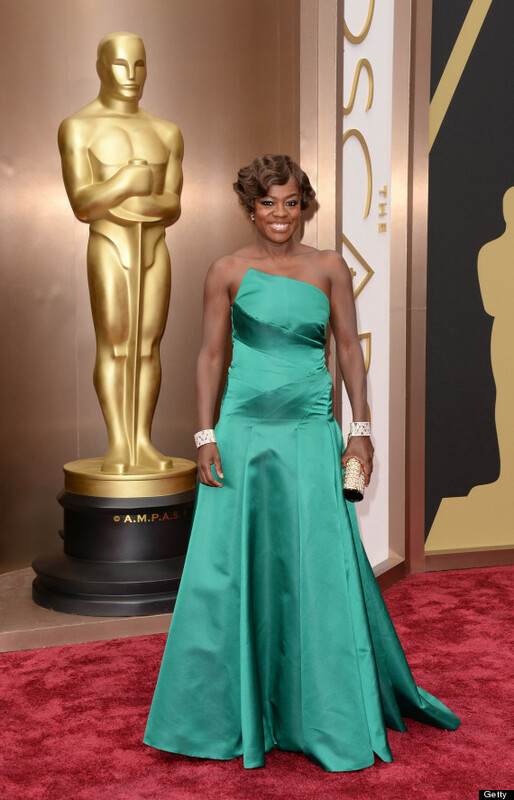 Best dressed Oscar 2014 Red Carpet Arrivals! So much beauty and glamour when it comes to the Oscars. I love seeing who wore what! Check out my Top 10 favorites although there were many note worthy. The powder blue silk Georgette soleil pleated Prada gown inspired by Elizabeth Taylor was completely breath taking. It was a collaborative creation that included Lupita’s stylist Micaela Erlanger, Prada and the Oscar winning Lupita as well. 2. Portia De Rossi the wife of one of my favorite people Ellen DeGeneres was stunning! The Naeem Khanivory honeycomb-beaded halter gown was perfect for this event. She paired a Prada clutch for the perfect accessory. 3. I loved Charlize Theron in classic Dior! You can never go wrong with Dior. She kept the classic them by pairing with simple yet elegant jewelry. 5. The lovely Jada Pinkett Smith in Versace was Pretty in Pink! 6. The Golden Goddess Kristin Chenoweth in Roberto Cavalli was stunning. 8. Anne Hathaway can never do wrong on the Red Carpet. I love her in this Gucci dress. Once again there were many more note worthy as Julia Roberts in Givenchy, Kristen Bell in Roberto Cavalli and even Bette Midler in Reem Acra!! I just narrowed it down to my top 10.
Who were your favorites from the Oscars Red Carpet? Next Post Why the hell am I still DATING BLACK WOMEN? Cate Blanchett was my favorite. Lupita Nyong’O and Kate Hudson were amazing as well. I have my list on Gemini Q (www.geminiq.blog.com).